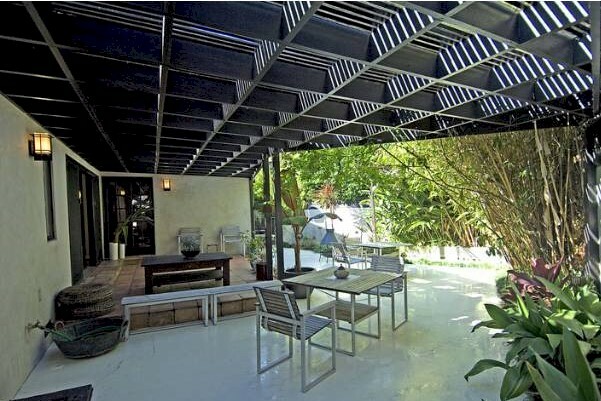 Another cool new listing has come to market in the Franklin Hills and I don’t expect this one to be around for long. 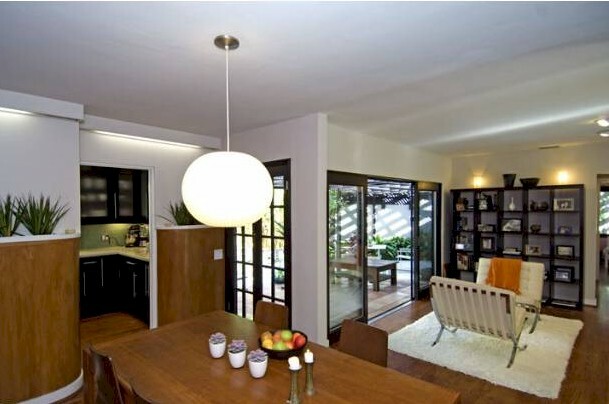 This Los Feliz house is a 1947 post war modern home that is an absolute delight. Stylishly restored and updated for today’s discerning buyer, there are great open spaces with original details like the curved wooden wall planters of the dining area and interior lighting. The house is not a big one, but what it lack in size it makes up for in cool factor. It’s a 2 bedroom house with both bedrooms opening to the outdoors, giving it the feeling of more space than it actually has. 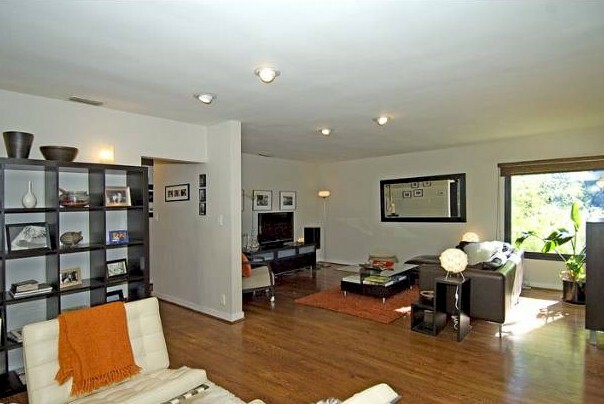 The master opens onto its own private patio and there’s a separate yard off the garage as well. French doors from the living room open to a pergola shaded yard, perfect for entertaining and outdoor dining. 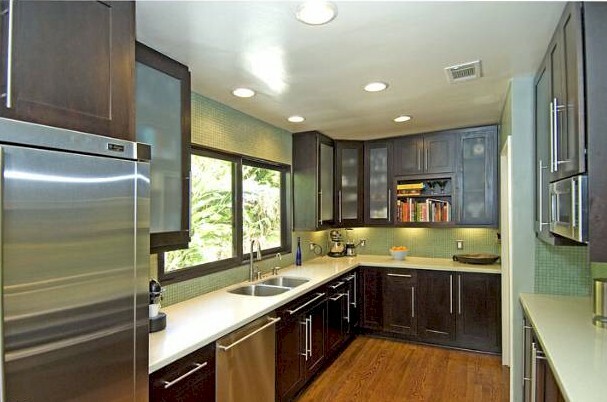 There is a fantastic kitchen, fit for the seasoned chef and just hip enough to make non-chefs want to start cooking. If you've been looking for a home in the Franklin Hills, this cool Los Feliz number might just be the one. Priced at just $749,000, it’s sure to be snapped up in a hurry.